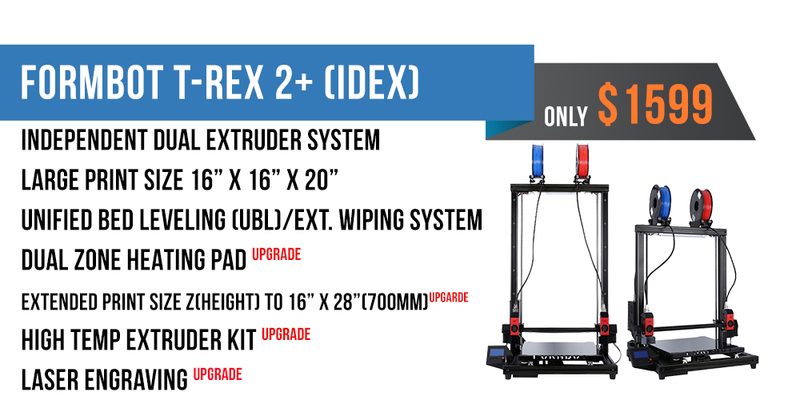 The Formbot T-Rex 2+ large format 3D Printer with Independent Dual Extruders (IDEX), 225 point automatic unified bed leveling with dual zone bed heating upgrade. The Formbot T-Rex 2+ with a build volume of 400 x 400 x 500mm (20") / 700mm (28") to print in! Formbot T-Rex 2+ uses incredibly thick linear rail and bearing to ensure smooth movement, and industrial ball screws helps to achieve amazing z accuracy. One of the exciting feature own by Formbot T-Rex 2+ is Independent dual extruders called (IDEX) . It allows the machine to print in more ways so suit your requirements! 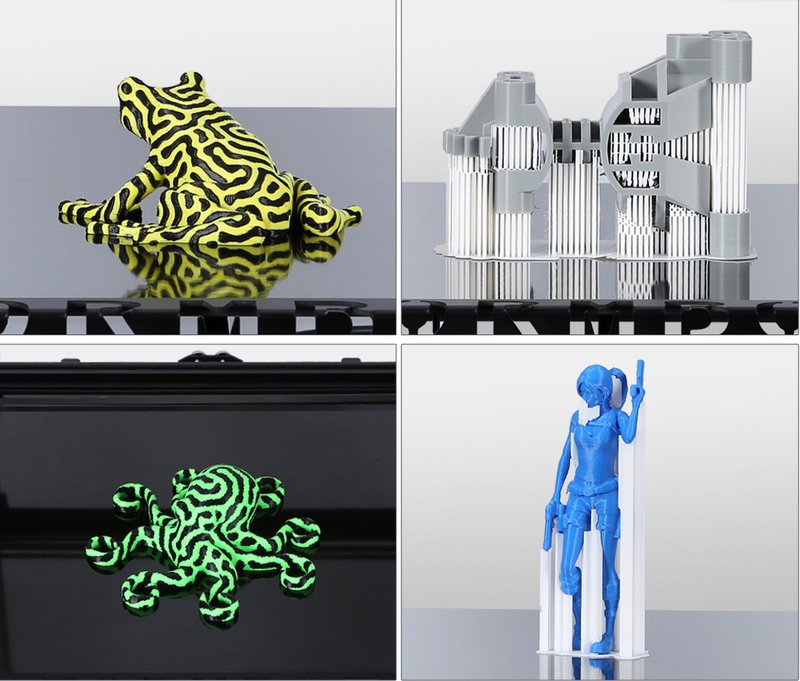 Print with two materials for soluble support, dual colours, or print two objects at the same time for twice the printing speed! Independent dual extruder (IDEX): possibility of printing 2 materials at a time or 2 identical objects simultaneously. 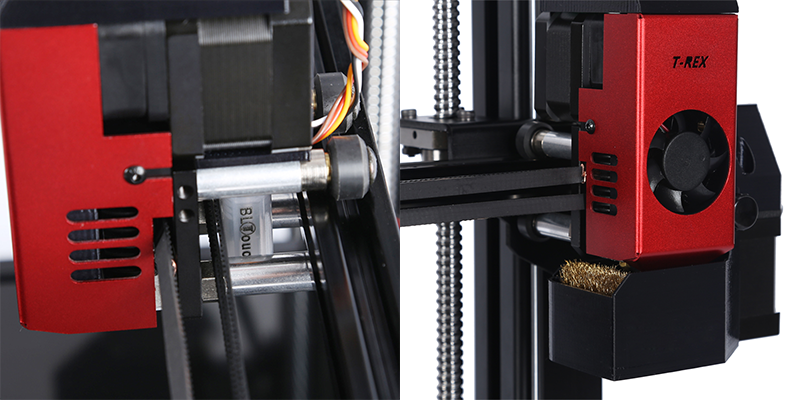 Extruder wiping system: to avoid messy layers at the beginning of a 3D print, the extruders are automatically wiped. High-temperature extruder (optional): for printing PEEK, nylon and other filaments that require high temperatures to be 3D printed. Dual zone heated print bed (optional): the heating is divided into 2 areas, to avoid useless heating of unused areas (a smaller portion of 200 x 200 can be heated for small objects, while the whole print bed can be heated for larger prints). 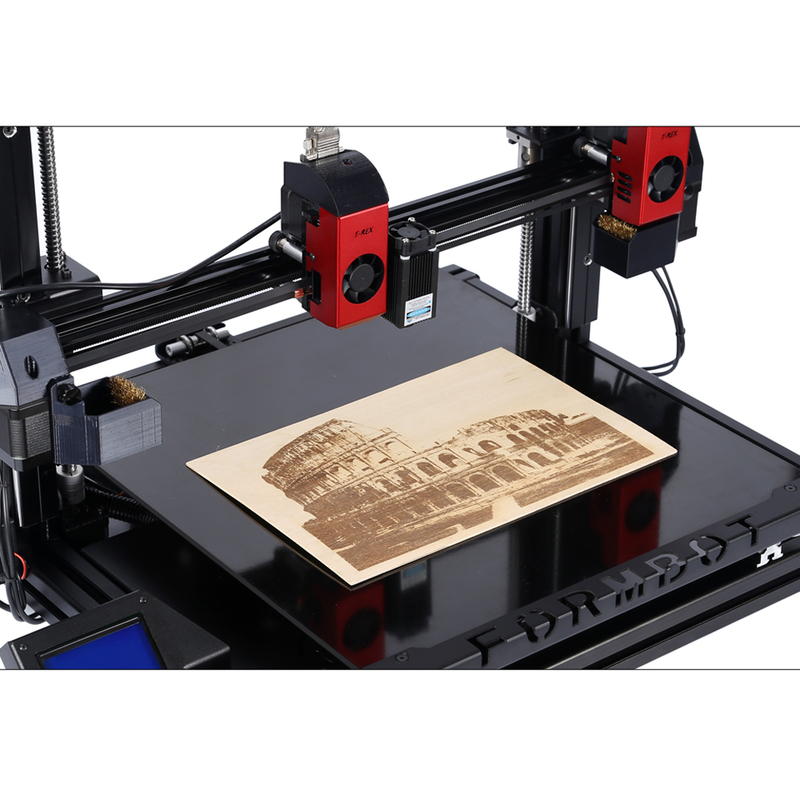 Laser engraver (optional): capable of engraving wood, fabrics and other materials. With two independent extrusion nozzles, the Formbot T-Rex 2+ can print two materials at once with no oozing and no damage to the model, a feature unique to the Formbot among printers this big! two of the same model at the same time! Recommended for designers, engineers, prop builders and cosplay enthusiasts with it's massive build volume and print quality. The build surface also includes a high powered KEENOVO silicon heating pad upgrade with dual zone heating up to 120 degrees Celsius within a couple of minutes. This heating pad includes an independent Digital Controller that enables you to just heat the central 200x200mm region for smaller prints or heat the full 400x400mm zone for larger builds. 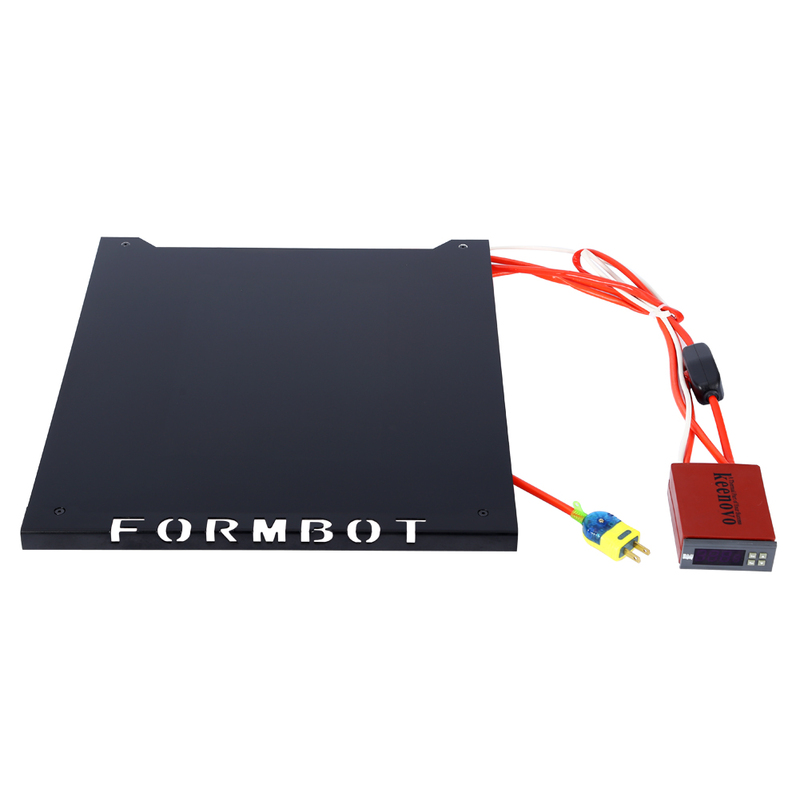 Formbot T-Rex 2+ locates an incredible 225 reference points of the bed with an integrated BL Touch sensor collect the datas & stores them in EEPROM. 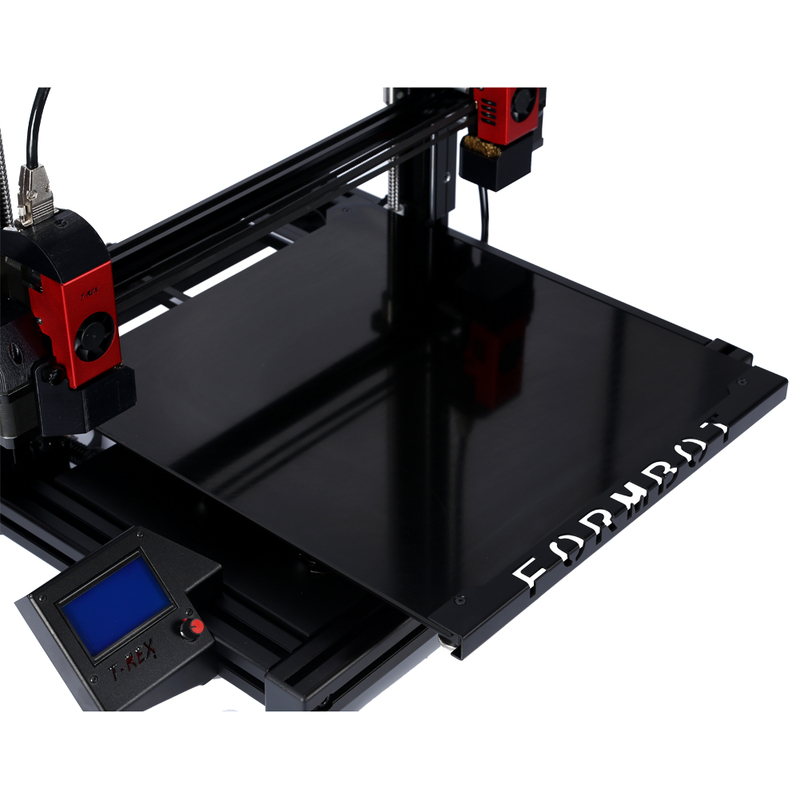 It creates mesh leveling that ensures your print is perfectly aligned to the bed of the Formbot without worrying about manual bed leveling. With quick interchangeable hot ends, it's much easier to swap out the nozzle you want. Put on a 0.25 mm nozzle for super high detail, or up to a 1.0 mm nozzle to print faster. 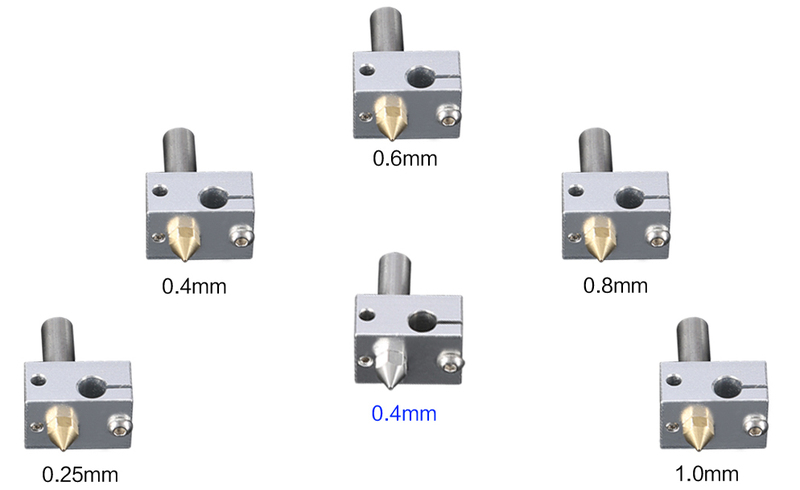 Not just limited to brass, all the nozzle sizes also come in stainless-steel, allowing you to print any filament materials in the market you wish with ease. Built with high end components. 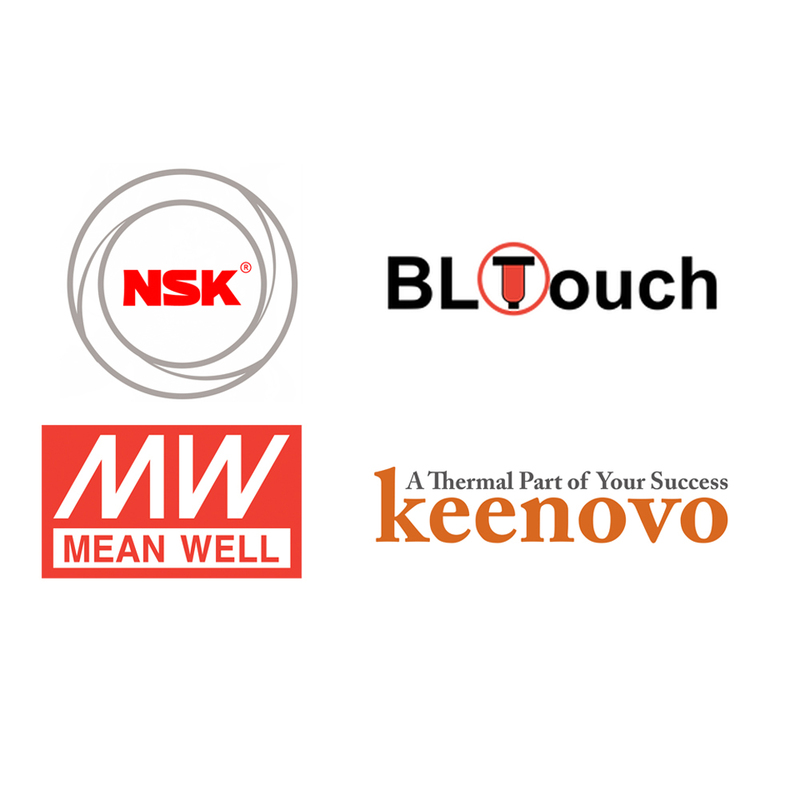 Genuine Meanwell power supply, BLTouch sensor, Keenovo heat bed, NSK bearings, and properly processed aluminium extrusion ensures that your printer prints reliably and beautifully. 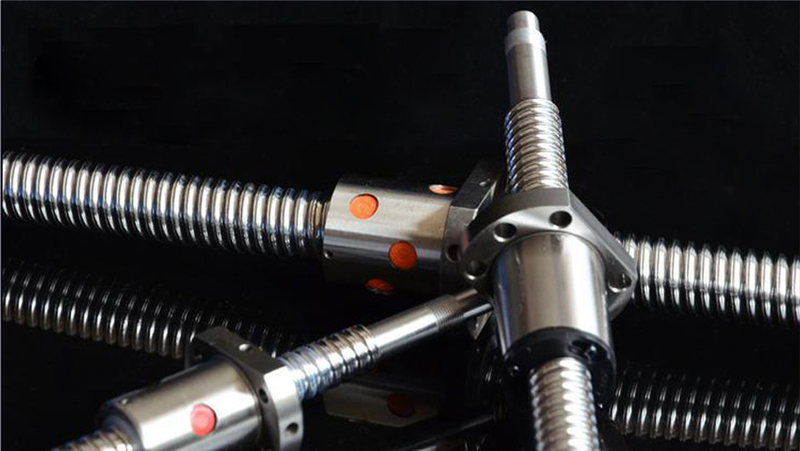 The Z-Axis of Formbot T-Rex 2+ is constructed with high quality industrial grade 20mm trapezoidal linear rails in conjunction with dual 12mm TBI Motion Ball Screws. This ensures smooth motion, high precision auto leveling and durability and ultimately exceptional print quality. 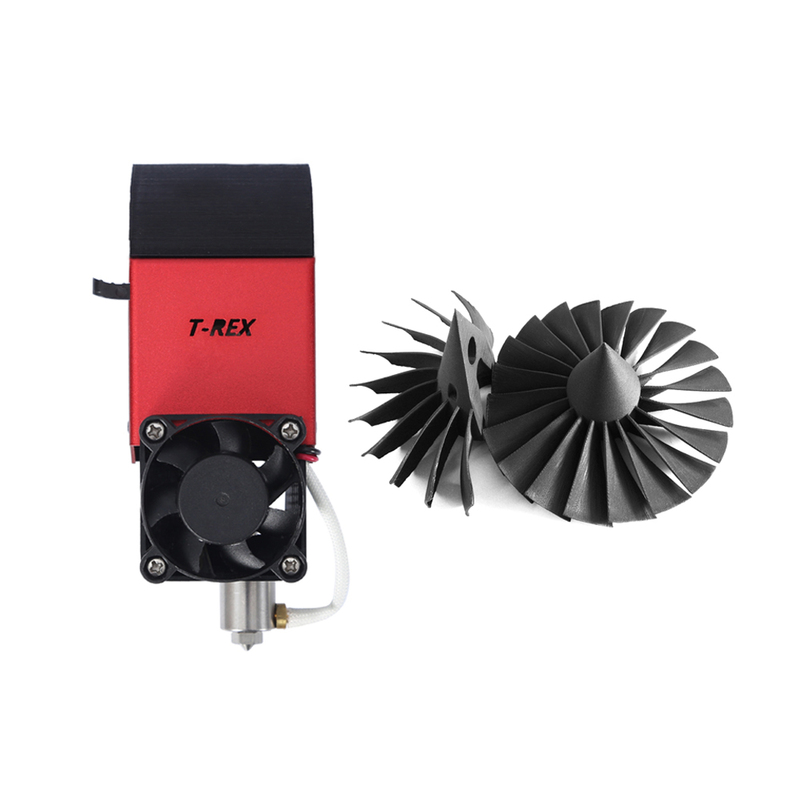 The Formbot TRex2+ uses dual 12mm TBI motion ball screws for Z axis motion ensuring smooth movements, high rigidity, high durability and exceptional print quality. The High efficiency of TBI Motion precision Ball Screws are vastly superior to conventional screws with smoother motion and minimal axial play. It will reach over 350C. For printing PEEK, nylon and other filaments that require high temperatures to be 3D printed. SSR Upgrade kit controls the Heated bed through gcode. 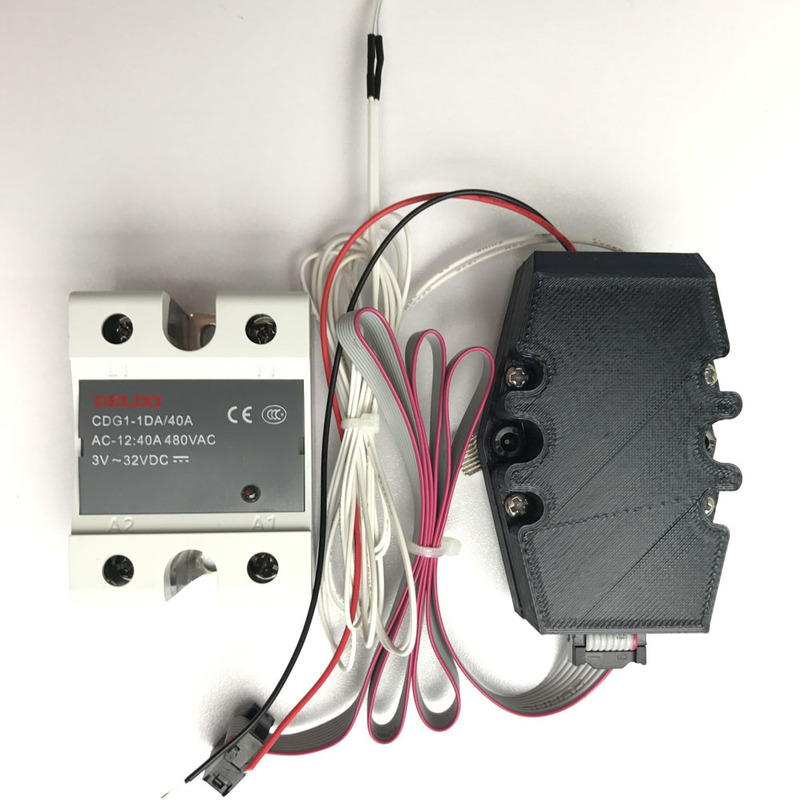 It includes 40A SSR, Thermistor & Thermistor driver. It is almost pre-built. It only takes 10 - 15 mins to complete the set up.If you need extra spare nozzles of same size, please leave us as a order comments in checkout while placing an order. It is applicable only if you opt extra spare nozzles option. I have a new printer (Formbot T-Rex 2+) and it's been printing great! I'm getting very nice layers and excellent consistency. Got my T-Rex 2+ from 3DPrintersBay. Very pleased with the service. I just received the printer and I’m working to get it all set up. The printer looks pretty straight forward. You guys did a great job in the build. Looking forward in getting some prints here soon. I noticed your board is a custom ATmega board. Very nicely done by the way.